It goes without saying that 9/11 will always be a sobering day; one where my generation will discuss in solemn voices where they were and how they felt until our end of days. So I spent this one with the ultimate underdog story… because isn’t that what we all love, as Americans? I have certain friends in the hard rock/metal world who, like me, love other kinds of music, too. There are too many people out there that only listen to one kind of music. Do you want to eat burgers every day? Don’t answer that. One of those friends turned me on to Charles Bradley, and after many failed attempts over the last 2 years, I finally made it. The sun was setting behind the hills and the sea was behind me in Santa Monica. The show was free; the crowd, varied; the sponsor- MySpace- had annoying opening banter with slightly racist undertones. It was unsettling. But my eyes were on the prize, the soul would prevail. 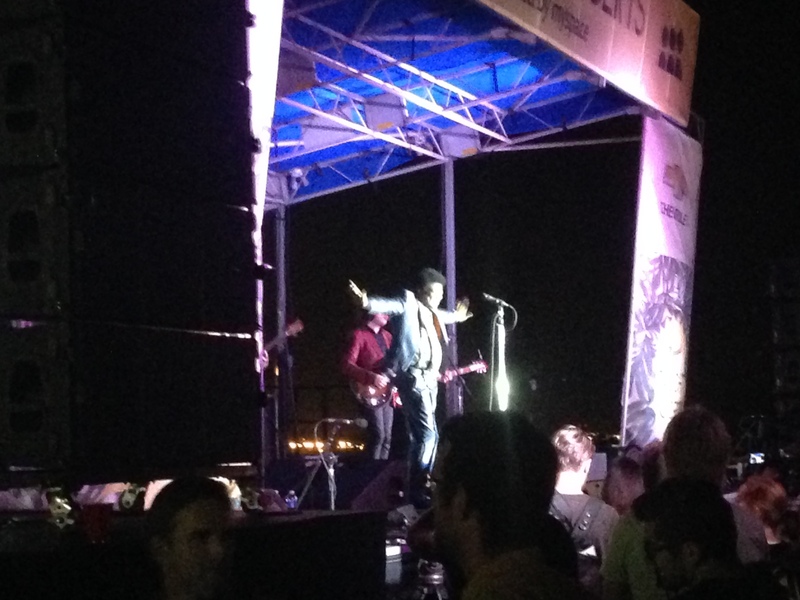 With a hot band behind him, killer moves, and that buttery voice… Charles Bradley proved to be everything I thought he would be. Deep into a History of Rock course, I am immersing myself in all of the DNA that built the body of music I know and love…. and R&B / Soul is a huge part of that. While the warm summer night served as a cool backdrop, I will definitely see Mr. Bradley next time he strolls through town at a proper venue. And you should, too.